Don't take reality lying down! Of course, there isn't any other way to take it. Some of the hurt we hold; some of it we fix. As for posture, Shunryu Suzuki said, "You should be siting straight up as if you were supporting the sky with your head. This is not just form or breathing. It expresses the key point of Buddhism. It is a perfect expression of your Buddha nature. These forms are not the means of obtaining the right state of mind. To take this posture itself is the purpose of our practice. When you have this posture, you have the right state of mind, so there is no need to try to attain some special state. Enlightenment is not some good feeling or some particular state of mind. The state of mind that exists when you sit in the right posture is, itself, enlightenment." But "the right posture" is not limited to lotus position zazen. 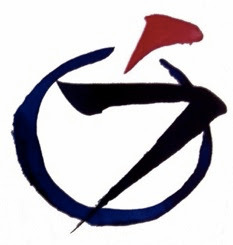 Suzuki also urged, "Try always to keep the right posture, not only when you practice zazen, but in all your activities. Take the right posture when you are driving your car, and when you are reading. If you read in slumped position, you cannot stay awake long." So sit straight -- even if you are lying down. After all, as Raven indicates, we are always lying right where we are, in the bosom of the world. There is an aspect of the supine -- even as as there is also uprightness, or its possibility -- in every position and posture, every movement and activity. Black Bear came to see Raven one morning and said, "I have this persistent pain under my right shoulder blade. Shall I try sitting through it?" Raven asked, "Have you tried sitting through it?" Black Bear said, "It just gets worse." Raven said, "Maybe you should elevate your seat a little. Try sitting on a stone." 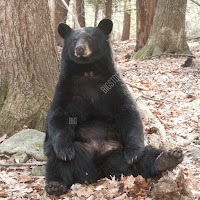 Black Bear said, "It doesn't seem to help." Raven said, "Try lying down." Black Bear said, "Can I really do zazen lying down?" Raven asked, "How else can you do it?" A single push of fingers across the spot, and half-way back. And scratch to scratch, increasing the injury. It is best to consider the dose very carefully using for relaxing. These types of figures are just lose approximations and therefore are common, not really particular to your scenario. Kratom sensation starting usage will vary with respect to the experience with the kratom sensation consumer. Everything had been very expert & tremendously efficient.